A core concept for link building for SEO is to earn links from websites that have greater authority for desirable keywords. 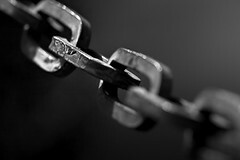 Natural editorial links, earned when a web content writer finds your content and links to it, are great when you can get them, but sometimes you need to take your efforts to the next level. An example: You have been blogging for awhile and are getting good feedback comments from readers. You aren’t, however, seeing referral links to your posts show up in your web statistics. What now? Link building outreach efforts can earn you valuable referral links and increase the SEO value of your content at the same time. Rather than hoping your content is found and linked, it requires you to directly contact website owners and bloggers to request a review of your content. Here are the steps for adding outreach to your link building strategy. The whole point of building incoming links for SEO is to receive links from websites who have greater authority for targeted keywords, so how do you find them to start your link building outreach efforts? 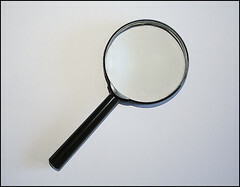 Use private search functions on Google, Bing and Yahoo to determine who ranks highly for your targeted search terms. Before you go off and start searching for targeted keyword phrases to see how your website ranks, its important to understand that your personal search results will likely be filtered in search engines based on a variety of factors (web history, search history, your location, etc.). It’s vitally important to start your search without this “results customization” to see the “raw strength” of your website compares to other for your targeted keyword terms and that starts with your browser. My recommendation to choose and configure one web browser (either Mozilla Firefox or Google Chrome) that will be dedicated to private searching and follow the requirements of the major search engines to keep those searches free of personalized results. Make sure a website is worth your precious time before engaging its owner or author for links. A website will not likely entertain the idea of linking to you, no matter how good your pitch, if it does not already link to other websites with relevant content. Also Look for contact info for authors/bloggers on the website and in social media; if you can’t find contact info easily, it’s probably not worth your time. then you will know those links are not counted by Google and do not contribute to SEO efforts. Please note that “nofollow” links may still give big value in terms of the referral visits they bring, so be sure to add these websites to your referring links efforts. The following can help you narrow down your targeted sites and set their priority if you end up with a long list. If the website in question only reviews sites that pay for the service then it’s not worth your effort. The major search engines are constantly looking for sites using paid links and downgrading or eliminating them from search results so that link you buy today may be worthless tomorrow. Sometimes a reader who leaves a comment on your blog post is also a writer for a blog or other website and a potential source of links. If they have engaged you by leaving a comment on your blog post, chances are they will be open to linking to you. My next post in this series with present best practices for engaging website owners and bloggers to get their attention and earn those links. 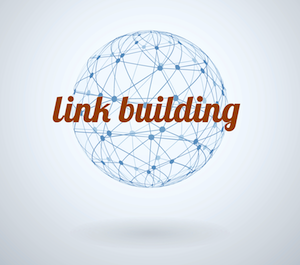 Contact us if you want help in getting your link building strategy off the ground. We offer consultations and ongoing services for link building outreach and other SEO-related services.